We all do it; we all need it – humans and animals alike. Sleep is an essential behavior shared by nearly all animals and disruption of this process is associated with an array of physiological and behavioral deficits. Although there are so many factors contributing to sleep loss, very little is known about the neural basis for interactions between sleep and sensory processing. 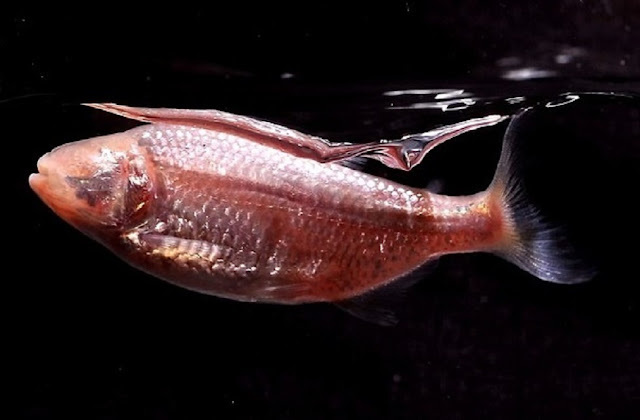 The Pachón cavefish live in deep, dark caves in central Mexico, with little food, oxygen or light, and have lost their eyes completely. Because of their harsh environment, they have evolved to get very creative in order to survive and suppress sleep. They are able to find their way around by means of their lateral lines, which are highly sensitive to fluctuating water pressure. In their latest study, just published in the Journal of Experimental Biology, findings suggest that an inability to block out your environment is one of the ways to lose sleep. The study also provides a model for understanding how the brain’s sensory systems modulate sleep and sheds light into the evolution of the significant differences in sleep duration observed throughout the animal kingdom. Key findings of the study have shown that the evolution of enhanced sensory capabilities contribute to sleep loss in cavefish and that sleep in cavefish is plastic and may be regulated by seasonal changes in food availability. This study is supported by a grant from the National Science Foundation (1601004).